The layperson’s answer would be obvious: anybody who has expertise and works hard at something should, eventually, produce results superior to what is achieved randomly. An example is the many tennis players who enter a tournament. Chances are, you know that one of a particular five players will win the tournament, because they’ve been proven winners in the past. They have superior skill levels. And if an average person were to devote his/her life to mastering the skills of tennis, that person would tend to beat people who aren’t working as hard at it. Many investment professionals reject this logic when it comes to the investment markets. Yes, it would seem that people who put a lot of time and energy into investigating the fundamentals of stocks and bonds should outperform those who indiscriminately buy stocks or bonds that happen to be part of an index. But research has shown that, if you account for their fees and other costs, and calibrate their investments to comparable indices, actively-managed mutual funds have stubbornly tended to underperform those indices over 10-year time horizons. Indiscriminate buying coupled with lower costs has, on average, beaten the skills of thousands of diligent, sometimes brilliant professional fund managers. Of course, some managers have outperformed the market. But here we bring in the element of luck. Is it possible that those outperforming managers have roughly the same skill as their peers, but they became lucky? Ten more flips takes us down to 12,000 remaining participants, and ten more brings the number of contestants to 12. 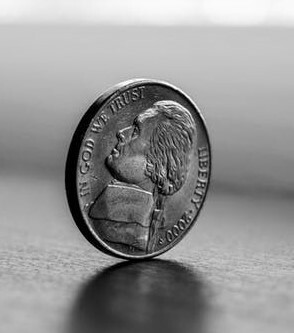 The next flip might produce anywhere from 4-8 heads, but eventually you would be down to one person who has somehow managed to flip a coin and had it land on “heads” somewhere between 23 and 25 times in a row. Given all the media attention given to this exciting world-wide contest, you could expect the media to breathlessly interview this person and ask him or her for the secret skill that allowed him or her to achieve this remarkable feat. What’s the secret to having a coin come up “heads” 25 times in a row?